When I published Incite Insight roughly three and a half years ago, I said I wanted to sell a thousand copies. I was laughed at, more than once, right to my face. I was naïve about what it took to sell books, especially at that quantity, but that number wasn’t randomly chosen. I wanted people to read the book, and thought that, with some luck, I could sell 200 paperbacks and 800 e-books. The e-book number came from what Bookbub indicated they’d be likely to sell if I landed a promotion with them, which I, once again naively, thought I could. I’ve applied to them a couple of times, without success. I also thought that since I had a distributor on board through Tale Pubishing, sales would just happen. So that meant using e-book promotion sites (which use email lists & social media to promote your book to readers), and I’ve used many of them with variable success. By stacking several promotional services together, in conjunction with a discount on the book to 99c, I’ve had campaigns sell between 37 and 92 books. My previous campaign (in Dec/Jan) sold 77 copies and I was sure that with the number of services I had stacked for a promotion last week, I’d reach the 55 sales I needed to break the 1000 barrier. I spent a lot more money than usual, and was hoping I’d not only break the 1000 mark, but maybe have my most successful promotion yet. Unfortunately, after the sale finished on Friday, I was left on 999 sales (and with a couple of promotion services crossed off my recommended list). I made an appeal on the final day of the promotion to my social media followers to buy the book while it was discounted, and be my thousandth sale. In exchange, I’d promote them in my blog (the version of this post I was intending to write). Sunday was my birthday. Maybe someone would buy a copy? This morning I did my usual check and saw I’d made a new sale overnight (actually on my birthday. I’m Australian, so it whilst it was the 8th here, it was still the 7th in the US where the sale occurred). My thousandth sale. Goal achieved. For what it’s worth that’s made up of 207 paperbacks and the rest as e-books; pretty much what I’d envisioned when I launched the book. I’ll give a breakdown of sales/channels in a future post. 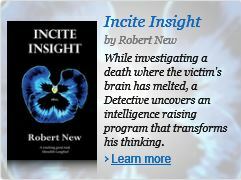 I’ve also given away over 1600 e-books of Incite Insight during a ‘free’ promo. I know many authors would scoff at those numbers, but, to me, the thought that there are over two and a half thousand copies ‘out there’ is very satisfying. Mug Punter has past 50 sales too. This was an experimental/promotional book (only 46 pages), and 50 was my target for it. Nearly all of those are paperbacks rather e-books, which shows the intent behind it was reasonable. I also recently sold my 250th copy of Movemind. I’ve never set a sales goal for that title, but I’m really happy with that number. It’s also had nearly 700 free e-books given away too. So soon that will have a thousand copies in circulation. In a ‘writers bucket list’ milestone, two people I’ve spoken to this year have said they’ve seen my books in their local bookshop and they were excited to make the connection between the books they’d seen and me. Still on my list is being recognised by a stranger as an author they’ve read (and, ideally, enjoyed). That will be quite a milestone. Everyone has a book in them. 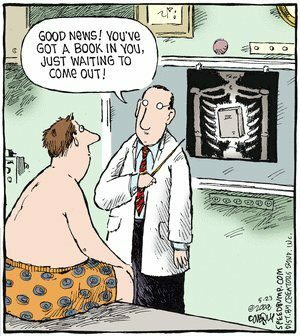 One of my favourite cartoons about writing is of a man being x-rayed to reveal a book in his chest. Part of the caption reads “You’ve got a book in you.” I like this idea – that we all have a book in us, and to an extent it’s true, everyone has a tale to tell. But writing a novel or a series of short stories, takes drive. You’ve got to want to tell the story/stories. When people find out I’ve written a few books, the most common question I get asked is about how I find the time. Not how I get my ideas. Not what difficulties I face as a writer. Not what my favourite of my stories is. Not even a simple query about what genre of stories I write. Time is probably the biggest factor in whether a book gets written. Writing is hard. It’s frustrating. It’s consuming. It’s brilliant. It’s uplifting, but definitely hard and definitely worthwhile. So how do you find the time? For me it comes down to motivation. When I’m motivated by the story I’m writing I don’t have to find time, it just seems to get found. Many of my stories aim to teach a concept/idea to the reader. That is my drive, my motivation to write. When I come across or think of an interesting idea/concept I put it in a story. While this helps me remember the idea, it also achieves something I seek to do in my day job as a teacher – share interesting science and concepts with a wider audience. I couldn’t find this image in a quick search but did find a similar stock image to what I’m describing. What I find interesting about the regularity of having such thoughts is what it reveals about how I feel about writing. It’s clearly something I find challenging and at times hard to pursue, but also worth doing given the outcome. I guess it boils down to pragmatism – the end justifies the means. I like the thought that my kids (when they’re old enough) and potential future grandchildren (fingers crossed) will be able to read my stories and get a good indication of what interests me. 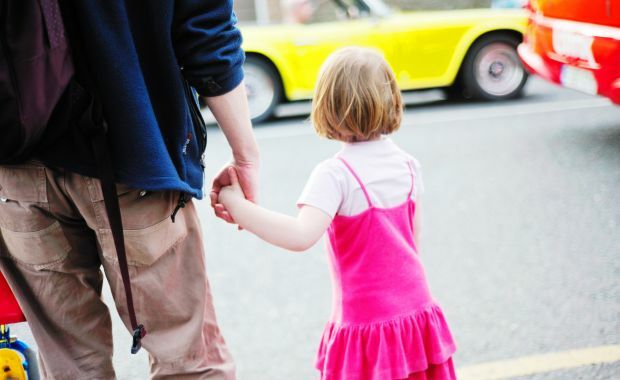 The idea that my story will be a legacy for them can help me find motivation when it’s lacking. Writing is also the one activity which always improves my state of mind, despite the frustration and angst that can come from trying to write a story. It seems to act like meditation for me. I escape to the world I’m creating and have my little mental break from reality. As such I’m often most productive with my writing when I’m busiest at work and just need to forget about the ‘magic pudding’ pile of marking which is every teacher’s burden. So if you have a gnawing desire to write a book, work out why you want to tell the story and use that as motivation to find a little bit of time each day to write. Set achievable goals* such as two hundred to two hundred and fifty words a day on weekdays (roughly 15-20 minutes writing) and give yourself the weekend off. You’ll write over a thousand words a week and over the course of a year that’s a draft of a novel. You can be one year older still wishing you could find the time, or with fifteen minutes a day be one year older having written a book. I know which I’d rather be. *November is NaNoWriMo (National Write a Novel in a Month). This sets a target of writing 1750 words a day (50,000 words in the month of November). For me that would represent three to four hours writing per day, which is not a realistic goal. When I pitched some books to movie producers at the recent Melbourne International Film Festival, it was really clear they were interested in books with strong female protagonists. If your book only had women as damsels in distress, minor characters or weak characters they weren’t interested. I found this fascinating and it made me think about the character choices I’d made in the past. All my books (with the exception of Mug Punter) pass the Bechdel test, but I’m yet to write one with a female lead character. I’ve started working on a new novel. So far it has a complete chapter outline and a working title of The Sovereign Assassin (mostly since The Royal Assassin has been used before). What’s stopped me from really getting into the writing of it are two things: one, I’m also trying to write a non-fiction book and it’s frustratingly slow work, and two, I couldn’t decide what gender to make the main character. Such a simple choice has been surprisingly difficult and was something I’ve vacillated upon, because, unlike my previous novels, it has significant consequences for the nature of the story and I want to be making the choice for the right reasons (ie not just because of a pipe dream of selling a movie option on the book). Ultimately, what swayed me was the realisation a planned epiphany which would tie together several threads in the story, would have more relevance with a female character, so welcome to the world Princess Niobe of Tantalia. What I found interesting was once I’d made the decision to make the main character a woman, other parts of the story, some of which I wasn’t sure would work, fell into place. More than that the whole story seemed stronger. This will be the first time I’ve written a novel with the main protagonist as a female. My first novel, The Conversationist had alternating perspectives, one of which was female and I had one reviewer say I wrote really well from the female perspective, so I’m hopeful I won’t offend people with my efforts in The Sovereign Assassin. Unfortunately, with still needing to edit Colours of Death, chipping away at a non-fiction book and an estimated length for The Sovereign Assassin of around 85,000 words, it’s going to take some time to write. Maybe, just maybe it’ll be out early 2020. Doubling my readership in a day/ Advice for new authors. Marketing for indie/small press authors is an interesting process. Unlike with traditional publishers nearly the entire onus is on the author. For me, I’ve recently run my first giveaway for Incite Insight. This was always going to be loss-making since I wasn’t charging for my book. I spent about A$90 on a few mailing lists to advertise that the e-book was free for five days. I had over 1200 downloads of the book on the first day, when the bulk of the advertising was sent out, and over 1600 by the end of the five days. The giveaway has so far netted me several new reviews on Amazon and Goodreads, many more ratings, and a lot more adds by unique users on Goodreads. 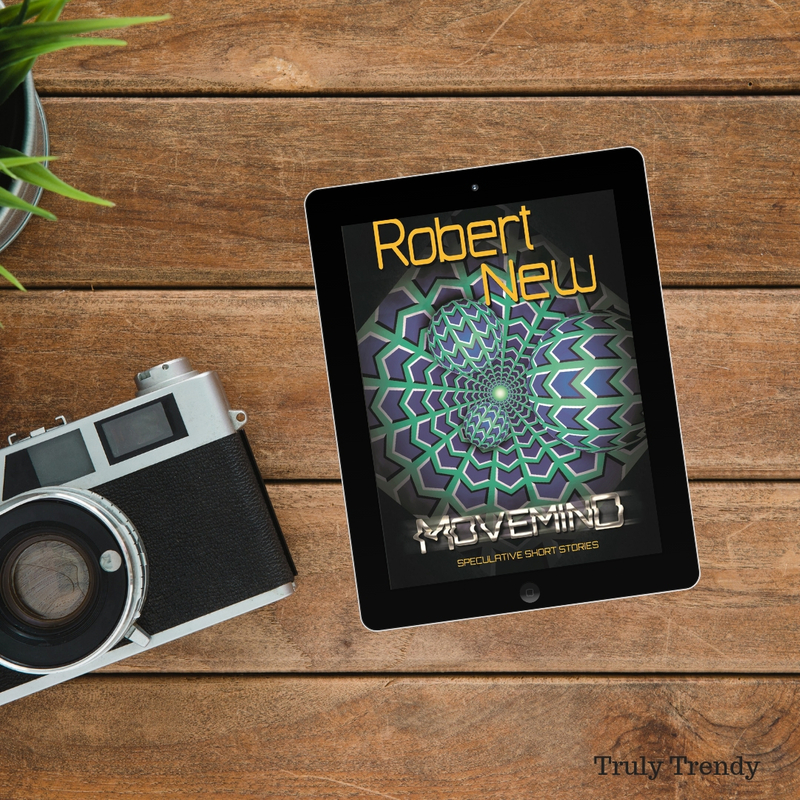 I’ve had several new kindle unlimited borrows of both Movemind and Incite Insight since the promotion, so it seems to have generated interest in my writing in the short term at least. Despite the quantity of downloads, these sales don’t count towards my Amazon ranking (there is a separate ranking list for ‘free books’). Unless you have something your readers can pay for after reading the free e-book, you won’t get any return on your investment. You can just make it free and do your own social media post about it, you might get a few hundred downloads, but to get the quantity of downloads to make it worthwhile you need pay to advertise. The return in terms of reviews and ratings was (for me at least) far less than for paid readers. While I gained a couple of new Amazon reviews from the 1600 downloads, I’d received over 20 reviews from the prior 800 sales. If I was a new author, I’d wait until I had two, or better yet, three titles available. Then I’d run a free promotion on one of the titles, followed by a second one on a different title a few weeks later. This would let you gauge the impact on your sales, help you get some reviews and build some momentum for you as an author. Three weeks to a month after I released a new title (ie: wait for the friends, family and fans to buy their copies), and assuming I already had another three titles available, I’d consider making the new release free to help it gain some additional reviews and awareness. The consequential sales/borrows of the e-book should offset some of the cost of advertising that the book is free. Often, your latest writing is your best, so picking up new readers whose first exposure is to your best work is a good idea (and the psychologist in me says if they’ve like the first book of yours they read, then they’ll view the others in a better light). If your goal is to gain new readers, improve your target audience’s awareness of your writing, or to boost the number of ratings and reviews rather than a monetary return on investment/making money from sales, then this is probably the most cost-effective marketing you can do. It exposes your book and your name (important for branding) to hundreds of thousands of readers (depending on the mailing lists you advertise on) and gets a lot of readers you would not normally reach (people will download it simply because its free) to read your book. For more on marketing see my marketing page.